British entrepreneur, piano player, international racing driver and business coach Jonny Cooper is the founder of www.JonnyHatesMarketing.com, helping transformation professionals find more of their ideal clients, more easily. Since growing a business to 8-figures and exiting, Jonny’s been supporting coaches, trainers, therapists and consultants who are serious about growing their practice and enjoying a life of effortless abundance. He’s also the voice behind the legendary Jonny Hates Marketing Facebook Group, and swears that he really, really does. *EBD allowed if client enrolls before the end of the previous month. Both NIL as this is a free gateway product. There are many different ways to promote the JHM products to create sales. Are you sick of wasting time on Facebook? What’s the difference between a Group and a Page? Have you ever wondered how these thriving coaches, trainers and therapists seem to fill up their programmes with little effort, month after month? My pal and British supercoach Jonny Cooper is one of those who’s cracked the code of client attraction using a simple FREE platform that’s open to everyone. Not the Business Pages. Groups. 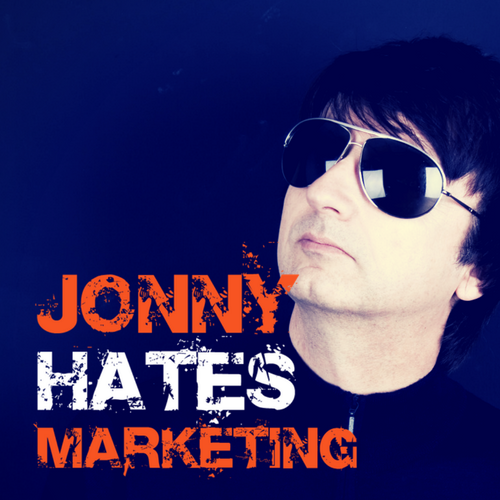 In just 9 months, Jonny’s built up a tribe of nearly 4,000 raving fans in the Jonny Hates Marketing FB Group, and it’s spitting out 4 high-ticket clients EVERY MONTH to create a bedrock for his thriving practice. Now, for the first time, he’s opening the lid on a Facebook Groups Masterclass to show YOU how to do the same. It’s a rare opportunity to experience Jonny’s wisdom first hand on a LIVE Zoom call (NOT a webinar!) and even have the chance to ask him questions about your Facebook Group. Jonny charges upwards of $10,000 for 1-2-1 coaching, which is why I’m so pumped he’s agreed to put on this special Masterclass for you. Build a following organically – ie NO ADVERTISING! Jonny’s limiting the seats on the Masterclass so you can get some quality time with him, so you need to register TODAY to secure your place. If you want to finally crack the code of organic reach on Facebook (ie – NO paid advertising) I massively recommend you do this. PS – Jonny’s also agreed to release his complete FB Post and DM Swipe Files for you to copy and paste after the Masterclass. Go here to register for FREE. Are you sick of the boom-and-bust of marketing? What’s the difference between success and failure in coaching? My pal, British supercoach and author Jonny Cooper is one of those who’s cracked the code of client attraction WITHOUT paid advertising. SIMPLE. He’s understood the three things that MUST be in place BEFORE you start marketing. So, stop fussing about Twitter, Facebook, emails or funnels. The foundations of a scalable, exponential business in coaching, training, therapy or consulting are nothing to do with marketing channels. Moving from a decade working in corporate consulting, Jonny’s built a tribe of nearly 4,000 raving fans in the Jonny Hates Marketing FB Group in just 9 months, and it’s spitting out high-ticket clients EVERY DAY to create a bedrock for his thriving practice. Now, for the first time, he’s opening the lid on how does it, and how YOU can do it too, in a sensational 3-part micro-video series. It’s a rare opportunity to experience Jonny’s wisdom first hand and get a chance to join his signature programme, The Client Attraction Blueprint, at a specially negotiated price. Jonny charges upwards of $10,000 for 1-2-1 coaching, which is why I’m so pumped he’s agreed make the Client Attraction Blueprint available for YOU at a fraction of that figure. In the programme, Jonny will personally guide you to create a template for your OWN thriving practice. Jonny’s limiting the seats on the Client Attraction Blueprint so you can get some quality time with him, and you need to watch these videos today TODAY to secure your place. If you want to finally crack the code of effortless marketing WITHOUT paid advertising, I massively recommend you do this. Xxxxxx PS – There’s an early-bird discount open for another few days. Go grab it here.